Reach a broader audience with Bilingual Lockout Tags. Our comprehensive selection of bilingual messages helps your Spanish and English speaking staff understand a vital message. 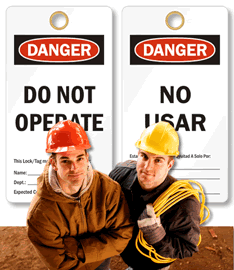 With a variety of common lockout and safety legends, you can find the perfect double-sided tag that's built from the most durable materials in the industry, and the design that commands attention in your workplace. If safety is your first priority, then everyone must understand your detailed safety instructions. 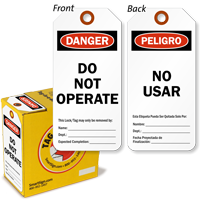 Bilingual safety and lockout tags not only provide information, but they help convey a sense that everyone belongs in your company. Support your staff and save lives, all with a bilingual lockout tag that sets the tone for safety. 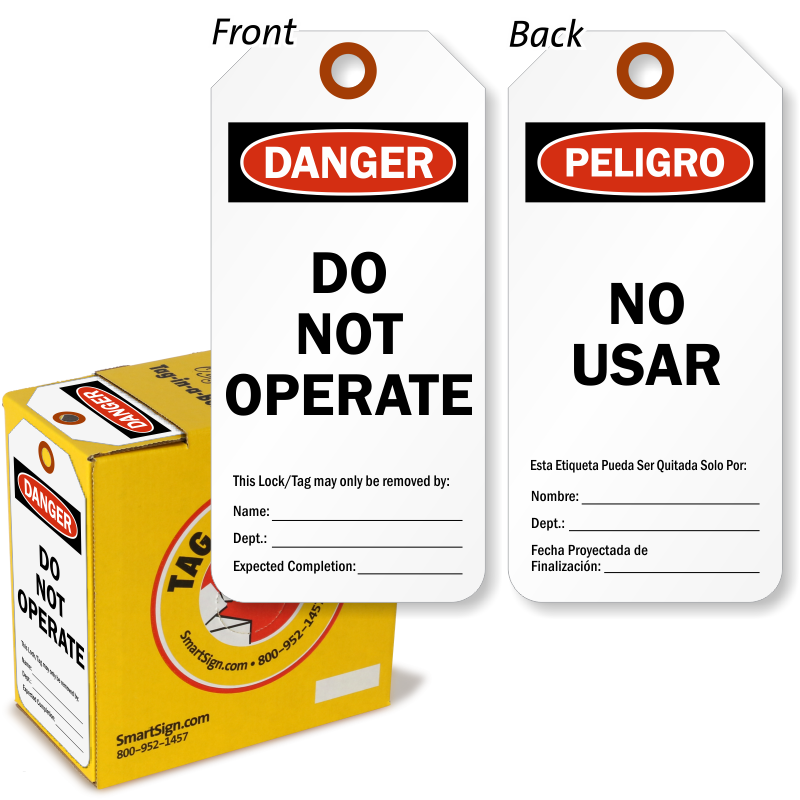 • Bilingual lockout tags feature both English and Spanish text. • These tough tags are double-sided; signs show bold text and colors that can be seen from a distance. • Each message is on the highest-quality materials that are ideal for industrial environments. • Use these legends when reaching a broad audience is a great priority.